Life, Happily Ever After: Pink Pillows! So remember that super awesome pink zebra fabric I used to make a Purse Organizer last week? 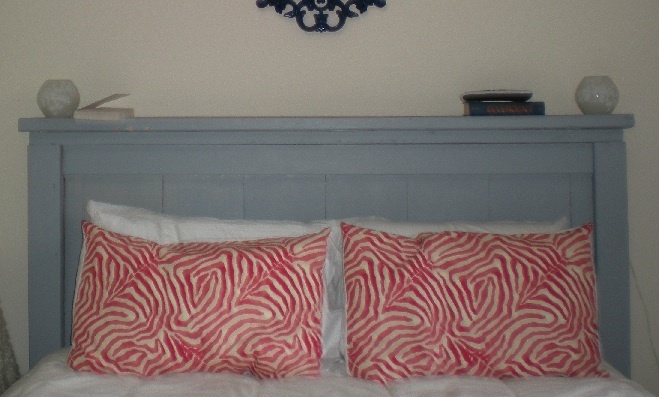 Well, I fell in love, and thought two pink zebra pillow shams would be awesome. 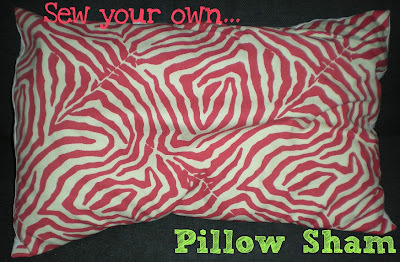 First I took a pillow sham that I knew fit my pillows and laid it on the fabric. I cut out two rectangles in that size. 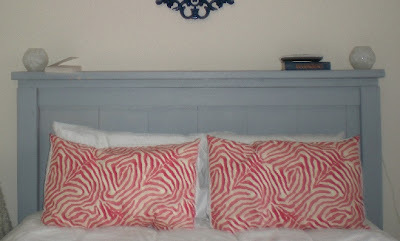 I wanted my shams to be one sided, with a white back, so I only cut one piece per pillow. 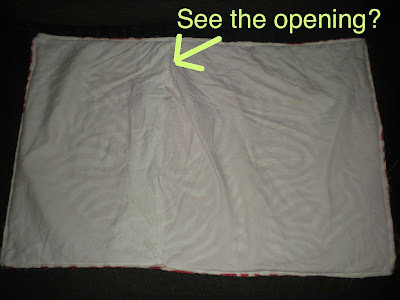 Next I cut up a white pillow case I had that was about 4 inches too long for my pillows. I cut it so it was two rectangles of fabric. 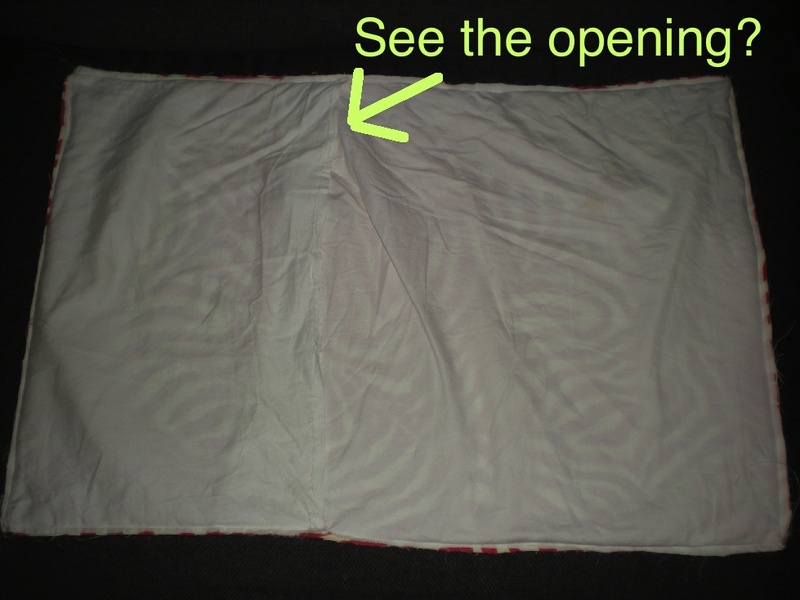 I hemmed the inside edges of the white, that would show, then I sewed around the edge, being careful to sew the overlap evenly. 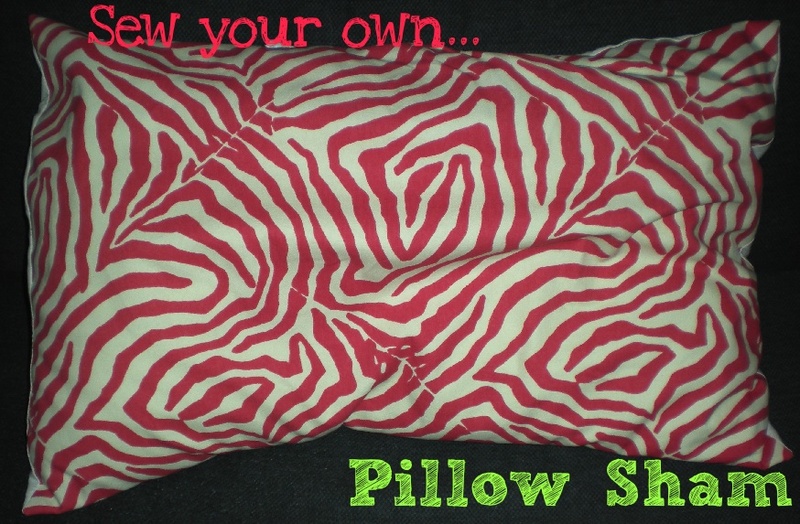 Then I turned it inside out and put a pillow in it and TADA! A pillow sham! Did it again and now I have two. They were super easy and I think they are really really cute.